Endless and enchanting views of Bangkok greenery, unrivalled architectural elegance and timeless style, amenities to please the most discerning traveler, this is the Hansar way of life. 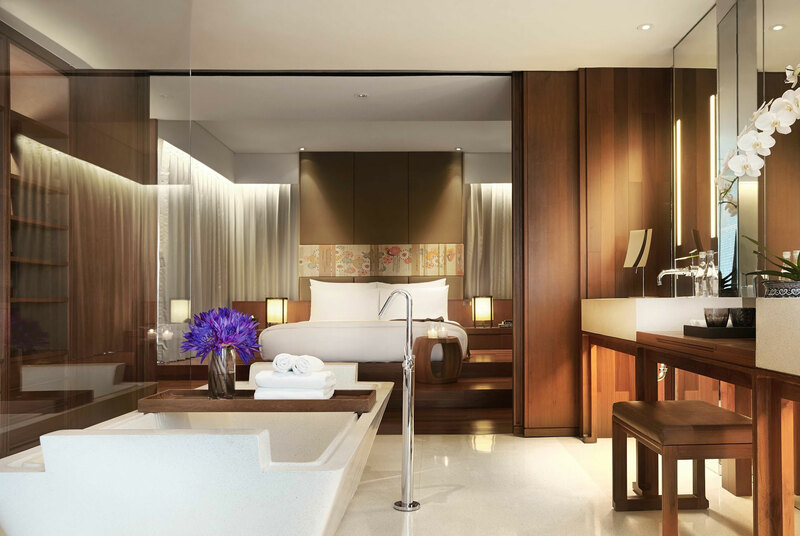 Their suites are steeped in modern comfort and amenities, contemporary yet timeless in style and adorned in Jim Thompson silk. Hansar is meant to be enjoyed, experienced and rediscovered each visit. Wireless internet is free in throughout all guestrooms and public areas, fresh exotic thai fruit is waiting in your room upon arrival, your mini-bar is complementary and replenished daily, bath salts and flowers welcome you to enjoy our custom Terrazo tubs, spacious suites and incredible down bedding beckon back from wherever your day takes you.